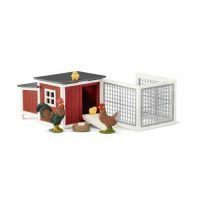 This set includes 1 x chicken coop, 1 x enclosure, 1 x rooster, 1 x hen, 2 x chicks, 1 x nest, 1 x eggs. The coop itself has a moveable door and detachable roof! 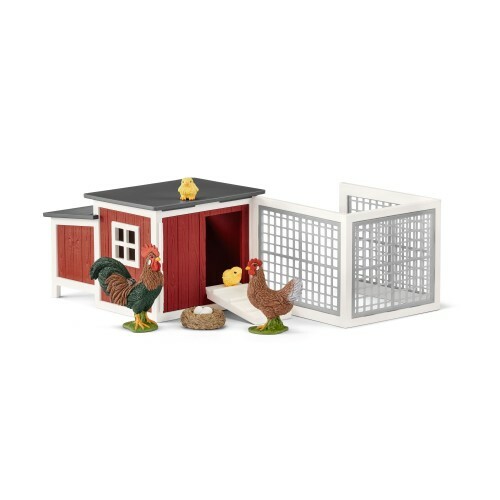 It would be a perfect addition to your farmhouse or barn to complete your farm scene. 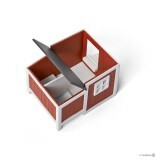 Most of these items are the perfect size for your g-scale layout. 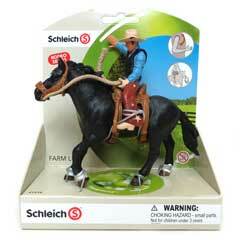 Schleich is a german made product and made of good quality. They can withstand some outdoor weather. 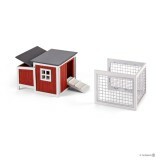 These items are good for an indoor/outdoor layout. 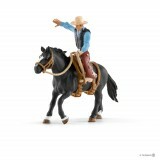 If you are interested in a Schleich item but don’t see it on our website, please ask us. We have many discontinued items in stock that are not on our website.